President Trump has officially imposed a 25% tariff on steel imports, and 10% on aluminum, from everywhere in the world (pending some exemptions). Reasoning for these tariffs is a belief that other countries’ current trade practices are a threat to national security, as well as to save U.S. jobs. Several countries influenced by these tariffs have suggested they will impose tariffs of their own on the U.S.
More recently, President Trump has imposed a 25% tariff (targeting $50 billion worth) on Chinese technology-focused goods based on an investigation highlighting China’s efforts to steal U.S. technologies and intellectual property. China has declared retaliatory tariffs of equivalent value primarily on agricultural imports from the U.S. Import tariffs incentivize U.S. companies and consumers to buy products from U.S. producers (thus, it is known as a protectionist strategy). China will most likely retaliate by imposing tariffs on imports of U.S. products (hurting U.S. exporters), and a back-and-forth trade war ensues. Many U.S.-made products utilize components made in China (such as iPhones), thus increasing input costs for those companies. 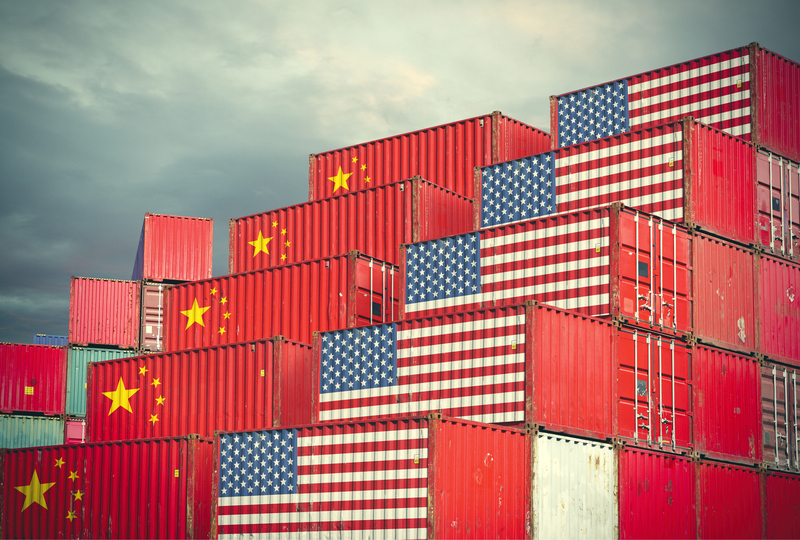 If a tariff is only set on China, other countries that have struggled to compete on price with China’s scale efficiency will now get their chance to be major exporters to the U.S. – problem not solved. For now, the largest impact may be from the steel and aluminum tariffs. Prices of the metals are likely to go up, raising manufacturing input costs. Thus, prices of steel and aluminum heavy products (like cars and soda) will likely go up as well. These price increases will partly be passed on to consumers who may then buy less of these expensive products. Countries that send the most steel and aluminum to the U.S. (and thus the most heavily affected) include: Canada, Brazil, South Korea, Mexico, Russia, and China (as of this writing, South Korea, Australia, Brazil, and Argentina have been exempted from the tariff). The expectation is that these countries will raise tariffs on products they import from the U.S. The top exports to these countries are agriculture products and airplanes – potentially hurting these industries in the U.S.
A trade war, even a small one – let alone one on a global scale, could be a headwind for economic growth as consumers spend less and costs for manufacturers go up, negating some of the benefits achieved from the recent tax reform. Likewise, jobs saved in some industries may be offset by jobs lost in others. We do not see this as a risk of a global recession, the currently affected imports make up a small portion of the global economy, which has been on an upward trajectory. Inflation may be pressured upward with rising prices. Ultimately, market volatility will most likely persist. Our advice, as always, is to avoid knee-jerk reactions to news headlines and focus on staying globally diversified, balanced, and invested.